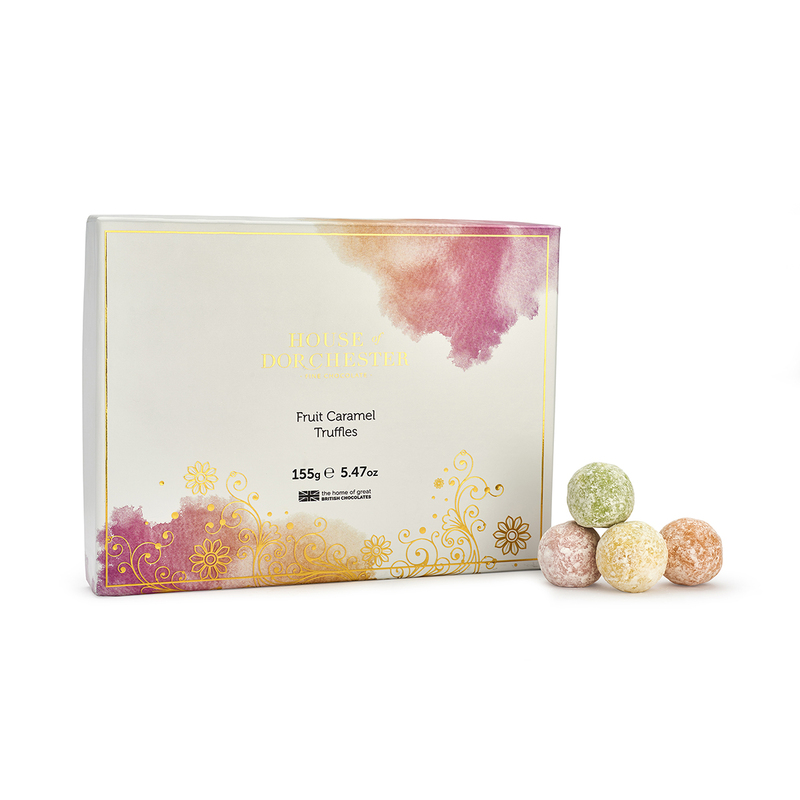 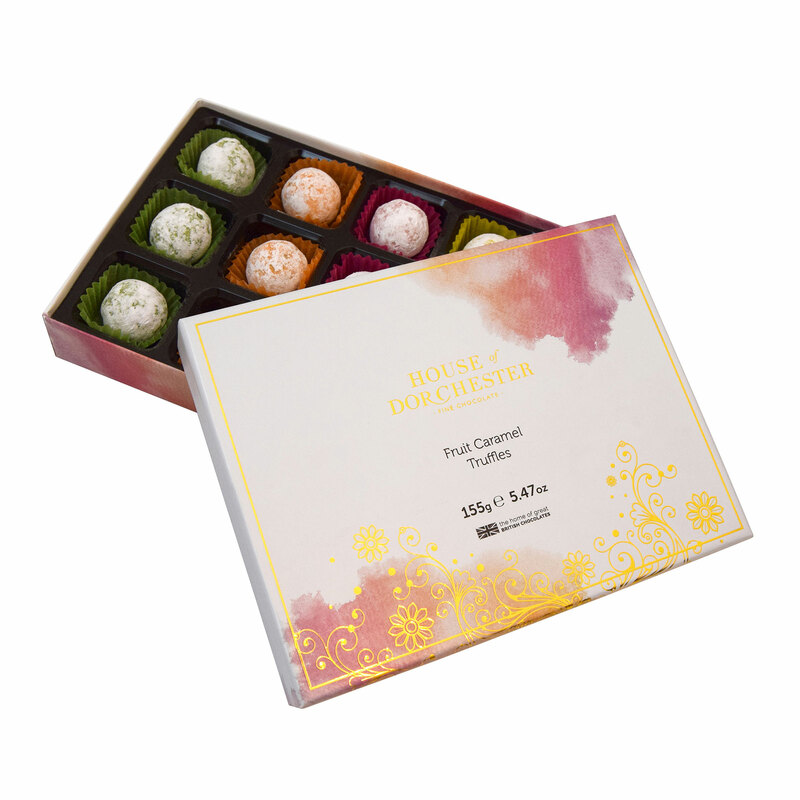 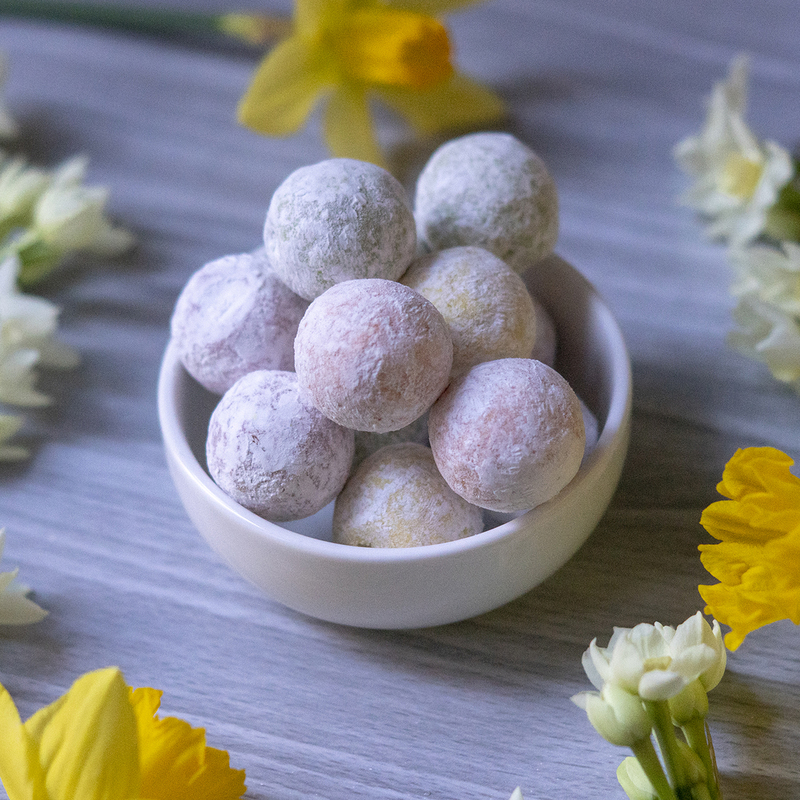 An assortment of fruit flavour caramel filled chocolates, including Strawberry, Orange, Lemon and Lime. Glucose syrup, sugar, cocoa butter, whole milk powder, sweetened condensed skimmed milk, palm kernel oil, palm oil, icing sugar, emulsifiers (soya lecithin, mono and diglycerides of fatty acids), natural flavourings, antioxidant (sodium phosphate), acid (citric acid), lime oil, orange oil, freeze dried strawberry powder, colours (beetroot red, curcumin, paprika extract), spirulina extract. May also contain traces of nuts, egg, wheat and gluten.